The Strategic Shift Inherent in Putin's 'Sputnik Shock' In a statement issued at the end of last week, Helga Zepp LaRouche addressed what she called a "new Sputnik shock," delivered by Russia's President Putin. Zepp LaRouche wrote, "In a trans-Atlantic atmosphere of hysteria against Russia and China that can only be understood as pre-war propaganda, President Putin dropped a bombshell in his annual State of the Union address which has redefined the strategic balance. He announced that Russian forces had acquired weapons based on new physical principles, including a new intercontinental missile capable of moving at 20 times the speed of sound, with excellent maneuverability.... These new systems, which include nuclear-propulsion cruise missiles, fast submarine drones and laser weapons, were Russia's answer to the unilateral termination of the ABM Treaty by the U.S. in 2002, and the launch of the global U.S. missile defense system. Since then, all negotiations have fallen on deaf ears...." Putin emphasized in his speech: "Nobody wanted to listen to us. So listen now." She continued: "The response from the Western media and politicians ranged from attempts to ridicule Putin's new arsenals as technologically impossible, mere pre-election bluster -- to concerns about a new arms race, as if one were not already long in progress, thanks to NATO's eastward expansion. "These responses once again reflect the fact that adherents to neo-liberal dogma can only see the world through their geopolitical concave glasses, and they obviously underestimate Russia's military science capabilities, just as they underestimated the dynamics of China's New Silk Road for years." 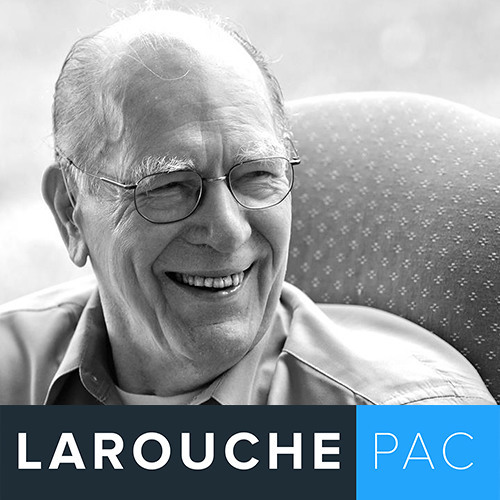 As Mrs. LaRouche indicates, the strategic situation is moving very rapidly, with real prospects for mutually beneficial relations, if the efforts to define relations in terms of British geopolitical dogma can be cast aside, and replaced by the "win-win" approach of China's President Xi. One striking example of this potential was the announcement Tuesday by South Korean officials, following talks with their North Korean counterparts, that the North is offering to freeze its nuclear missile programs, and open talks with the United States -- a development which, if followed through, demonstrates how the dynamic of the New Paradigm is replacing the confrontational approach of the Western unilateralists. Join Mrs. LaRouche this Thursday for the full implications of the changing global strategic geometry.